At our Black Minds Matter event on Thursday, May 12, the commitment of more than 120 community members like you shone through. 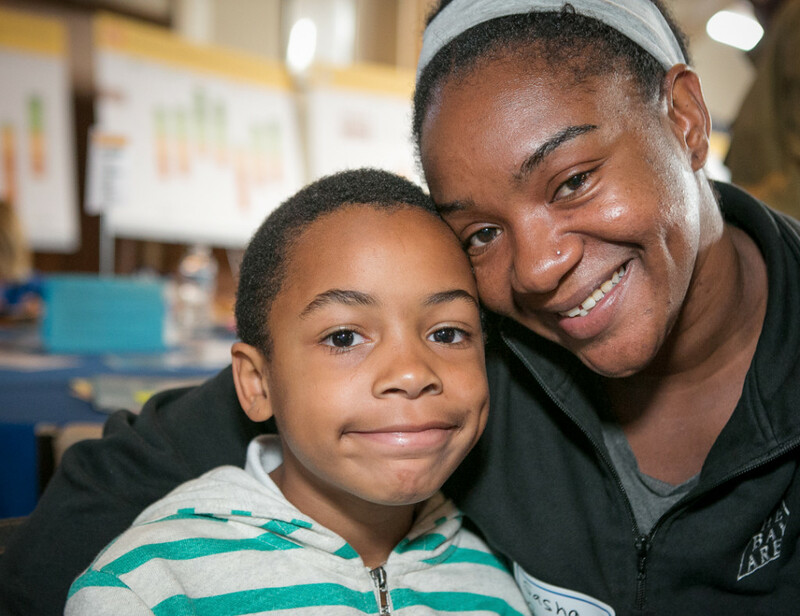 We’re grateful for the incredible parents, educators, school leaders, and community allies who so clearly go above and beyond to ensure that our Black boys and girls in West Contra Costa receive the high-quality education they deserve. We’re honored to have shared the space together, deeply moved by the wisdom and urgency of your voices, and we appreciate your feedback. Check out more photos in our Facebook album. 1. 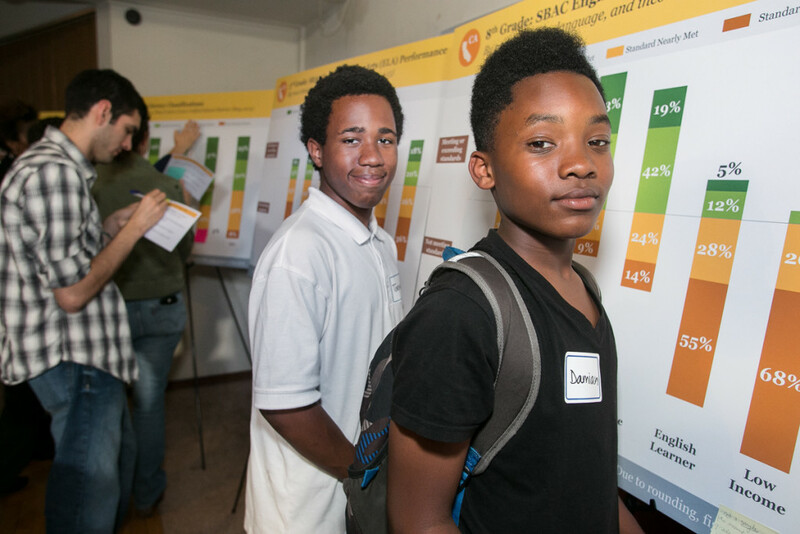 On Wednesday 5/18, attend WCCUSD Board of Education’s Special Study Session on African American Achievement from 6:30 – 8:30 PM at Lovonya DeJean Middle School. Click here to access the agenda. Plan to arrive 10 minutes early in order to sign up to speak during public comment and share your perspective with our school board members. 2. Attend our Action Planning Meeting on Thursday, August 18, where together we’ll develop an action and accountability plan to engage our district in specific goals around better serving Black students in the upcoming 2016-17 school year. You’ll hear from us via e-mail with more details about the event, so please stay plugged in. 3. Get involved with WCCUSD’s African American Parent Group. Stay connected to the conversation and more importantly, action steps, by reaching Dr. Kaye Burnside at (510) 778-8248 or Cristal Banagan at (510) 692-1949. The group meets every 4th Tuesday of the month from 5:30 PM – 8:00 PM at Lovonya DeJean Middle School. The next meeting is on Tuesday, May 31. 4. Save and share the Data Equity Walk Presentation. Click here to access a file containing all 12 data points presented at Black Minds Matter. Forward this data to your networks. Print out copies to distribute to your fellow parent and teacher leaders. Include it in your community organization’s team newsletter. Provide context by sharing your unique take on the data, based on your experiences with our schools and kids. Visit The Education Trust — West to learn more about data and accountability that can drive change for our students. The issues and outcomes we’ve gathered around are complex and challenging. We won’t solve them overnight. However, we can strengthen our relationships, understand each other’s perspectives, and commit to staying in this together. Thank you for leading the charge towards a brighter future for our youth. Please contact us to share feedback about the event and/or any other context you would like us to know. We look forward to continuing to listen, learn, and shape the path forward in service of all kids.